Days of Our Lives (DOOL) spoilers for Friday, September 15, tease that Sonny (Freddie Smith) and Paul (Christopher Sean) will break some bad news to Gabi (Camila Banus). They’ll let her know that they’re having a double wedding with Chad (Billy Flynn) and Abigail (Marci Miller). Naturally, this will make Gabi pretty uncomfortable. She won’t like the idea watching Chad and Abby tie the knot. 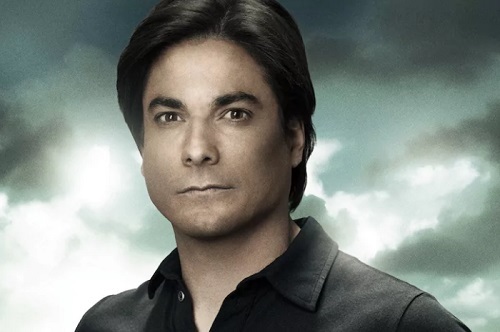 Meanwhile, Lucas (Bryan Dattilo) will have a problem with the other half of this ceremony. Will (Chandler Massey) will be on his mind in Friday’s DOOL episode. Days of Our Lives spoilers state that Lucas will have a drunken outburst in front of Abigail, Chad, Sonny and Paul. He’ll probably rant about Sonny moving on, which should lead to some concerns for the wedding party. Abigail will try to make Lucas understand that his drinking has consequences. She’ll hate to see Lucas continue down this destructive path. Unfortunately, Abby just won’t be able to get through to him. Lucas obviously has further to fall before this storyline wraps up. After a heated confrontation, Lucas will find himself alone at St. Luke’s. He’ll reflect on Will’s death and all his grief will come rushing back. Days spoilers say Lucas will be stunned when Will appears to him in a vision. He’ll get emotional as he sees his son standing before him. Friday will mostly bring shock and questions for Lucas, but he’ll have a chance to open up to Will on Monday. Until then, Eli (Lamon Archey) will be on a mission. After his official firing from the FBI, Eli will need to find a new career path. Days spoilers say Eli will fill Abe (James Reynolds) in on his job search and his plan to stick around Salem. Elsewhere, Marlena (Deidre Hall) will give John (Drake Hogestyn) updates on the Hattie (Deidre Hall) saga. She’ll admit she has a wild theory involving Adrienne (Judi Evans). Marlena will suggest that Hattie and Adrienne might have been working together. John may not be sure he believes that, but Marlena will grow increasingly convinced that something’s up. It sounds like Marlena is on the right track. Will she eventually figure out Bonnie’s (Judi Evans) ruse? We’ll keep you posted as other Days of Our Lives details emerge. Stick with DOOL and don’t forget to check CDL often for the latest Days of Our Lives spoilers, updates and news.